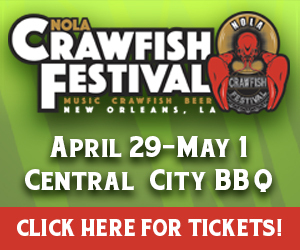 Roy Carrier, who performed at the recent New Orleans Jazz and Heritage Festival, died unexpectedly from a heart attack at Opelousas, Louisiana, May 3. He was 63. Carrier was perhaps best known for being one of the last traditional zydeco artists whose style was heavily blues-influenced. One of nine children, he was born February 11, 1947, in the country outside of Lawtell, Louisiana. A distant relative of legendary Creole fiddler Joseph “Bebe” Carrier, Roy’s father Warren was a share cropper who played the accordion at house parties and la la dances on weekends. 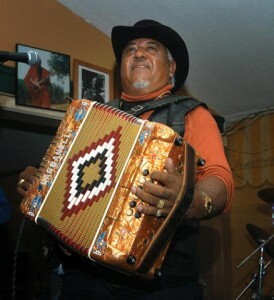 At the age of six, Roy’s father recruited him to accompany his accordion on the rubboard. By the time he reached his teens, Carrier also played drums and guitar with his father. In 1961, Carrier formed his first group the Night Rockers, which included one of his brothers and an uncle. Unfortunately, in a work related accident, he lost part of his left index finger which impacted his ability to play guitar. Carrier didn’t play music for two years but his interest in music wasn’t extinguished, as he would often go to see his favorite artist, Clifton Chenier. At 17, Carrier taught himself to play the “French” double-row accordion. Since he lacked a finger on his chording hand, Carrier learned to “cross chord” the instrument, giving him a unique style. He reformed the Night Rockers and began playing small clubs around southwest Louisiana. In 1975, Carrier took a job working on offshore oil rigs. This was the beginning of 16 years of seven-days as a roughneck, seven-days playing music. Carrier passed on the music tradition to his children as Joseph “Chubby,” Troy “Dikki Du” and Elaine all played in their father’s band before they turned 10. In 1980, Carrier purchased a small club in Lawtell which he renamed the Offshore Lounge. The Offshore became known for its Thursday Night jam sessions, which springboarded the careers of his children, Geno Delafose and Beau Jocque among others. Carrier retired from working offshore in 1987, the same year he made the first of four albums for the Lanor label. With the encouragement of his son Chubby, Carrier began touring outside of southwest Louisiana. From touring the east coast, Carrier was able to hookup with the Washington-based Right on Rhythm label for which he would record four acclaimed CDs: Nasty Girls, Twist & Shout, Offshore Blues & Zydeco and Whiskey-Drinkin’ Man. Roy Carrier was laid to rest May 11, 2010 at the St. Ann Catholic cemetery in Lawtell.